List of online florists by States. New York florists : Buy flowers online from our entire collection available for delivery in New york at our Online Flower Shop. Deliver flowers through out New York by our New York local florists. Hawaii florists : A new and unique way to order flowers direct from our local florists in Hawaii. Our local Hawaii florists offers exotic collection of floral arrangements, bouquets, gift baskets and much more delivered across Hawaii. Texas florists : Deliver fabulous flowers for delivery from our Texas florists. Buy flowers online through our Texas flower delivery service. Arizona florists : Arizona florists offers wide flower delivery for fresh flowers through out Arizona. Our local florists in Arizona delivers fresh flowers through out Arizona. California florists : Deliver flowers across California from our exclusive store of flowers offered by our local florists in California. Michigan florists : Michigan florists offers online flower delivery to anywhere in Michigan. Order flowers easily online for delivery from our extensive network of local florists across Michigan. 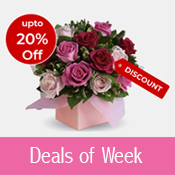 Washington florists : Washington florists provides delivery of fresh flowers. Select from the list of online florists for Washington flower delivery. 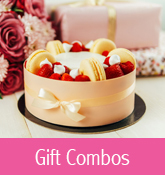 Alabama florists : Buy flowers for all ocassions from our local florists in Alabama delivering fresh flowers, roses and flower bouquets for Birthdays. 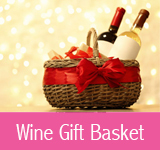 Connecticut florists : Buy our recommended floral gift basket, plants and lilies for all your special ocassions for same day and next day flower delivery in Connecticut. Delaware florists : Quality fresh flowers for delivery from our premier online florist in Delaware. Florida florists : Delivery of fresh flowers from our Florida florists and flower shops you can order flowers online to Florida.